When my youngest was around 17 months old I remember wondering when he’d start really talking. He could say “dadda,” but not much else. He seemed to understand most of what I said to him though and was very good at communicating, only he didn’t use words. Then, almost overnight, it was like a verbal explosion. Nowadays, I can’t shut him up! The point is, all little ones develop in their own time and while first words tend to happen somewhere around the 12-18 month mark, some tots take a little longer to say them*. Whenever your baby decides she’s ready to get talking, it’s important to remember that she’s picking up her language skills from you and the other adults in her life, well before she opens her mouth and surprises you by saying “ca” as she points to the toy car. Here’s 16 ways you can encourage her speech and language development. You know that high-pitched voice you have when you talk to your baby? Well, don't worry about how silly you sound! It's called 'motherverse' and studies have now found that it helps to build our little one's ability to understand and create sentences of their own. 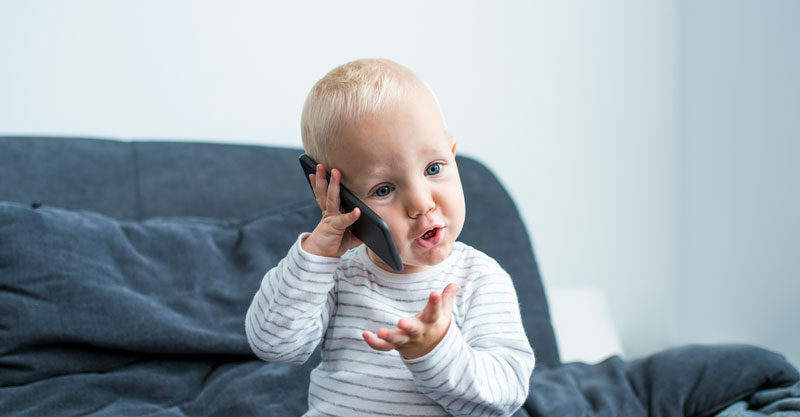 The exaggerated speech also helps babies to identify where words begin and end, and gives them the clues needed for developing language skills. So keep it up! * If you are concerned about your child’s development in any way, chat to your GP.